"As a native of Ireland, the landscape there has certainly shaped and influenced my own history. Many of my drawings are of places that have a deep personal association for me; an endeavor perhaps to stay connected to my roots. My aim, however, is not only to convey a sense of place and belonging, but also an attempt to capture the ineffable, to evoke a feeling, or a memory, to invite the viewer to look beyond and beneath what they see. 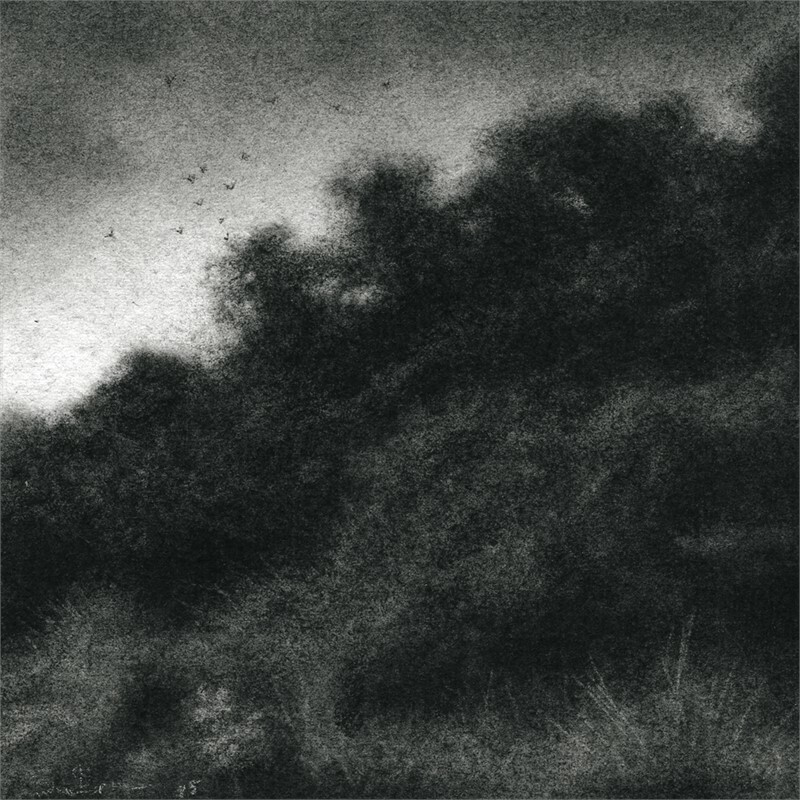 My process is one of building up tones and textures using a technique of charcoal and carbon combined. This process yields a wonderful range of blacks and grays that vary in density and transparency as much as in tonality. Much of drawing’s appeal to me lies in its very constraint, in its simplification, in the reduction of nature’s macrocosm to the coal-black char of organic matter. For me, the act of drawing is an end in itself." Born and raised in Ireland, Sue Bryan moved to the States in the early 90's. Primarily self-trained, she studied briefly in the School of Visual Arts from 1994 to 1995. From there, she continued to work independently, finding most influential the works of Inness, Blakelock, Turner and Corot. 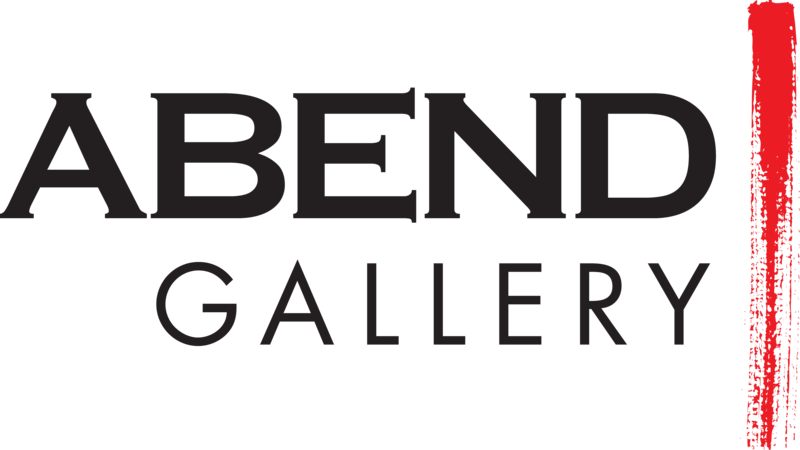 Her work has been selected for several juried and invitational exhibitions throughout the US, including the Bradley International Print and Drawing Exhibition in 2011 and 2015. She has exhibited in many galleries and group shows nationally and internationally, including the Fort Wayne Museum of Art, the National Arts Club and the Royal Hibernian Academy in Dublin. She is the recipient of many awards, including an Award of Distinction at the 5th Annual Drawing Discourse, an international exhibition of contemporary drawing held at the University of North Carolina, Asheville. "As a native of Ireland, the landscape there has certainly shaped and influenced my own history. Many of my drawings are of places that have a deep personal association for me; an endeavor perhaps to stay connected to my roots. My aim, however, is not only to convey a sense of place and belonging, but also an attempt to capture the ineffable, to evoke a feeling, or a memory, to invite the viewer to look beyond and beneath what they see. 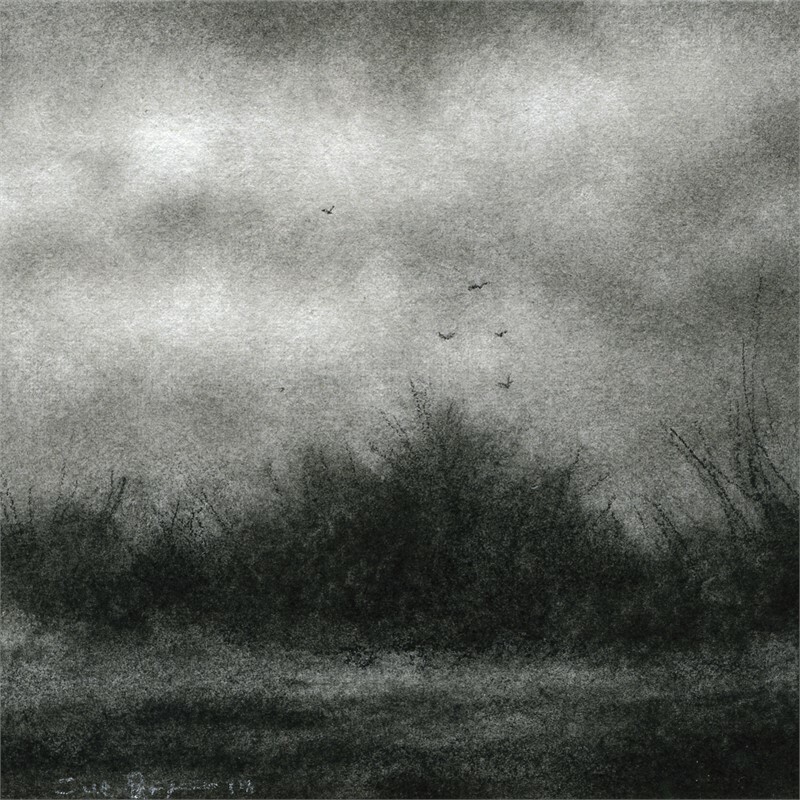 My process is one of building up tones and textures using a technique of charcoal and carbon combined. This process yields a wonderful range of blacks and grays that vary in density and transparency as much as in tonality. Much of drawing’s appeal to me lies in its very constraint, in its simplification, in the reduction of nature’s macrocosm to the coal-black char of organic matter. For me, the act of drawing is an end in itself." Born and raised in Ireland, Sue Bryan moved to the States in the early 90's. Primarily self-trained, she studied briefly in the School of Visual Arts from 1994 to 1995. From there, she continued to work independently, finding most influential the works of Inness, Blakelock, Turner and Corot. Her work has been selected for several juried and invitational exhibitions throughout the US, including the Bradley International Print and Drawing Exhibition in 2011 and 2015. She has exhibited in many galleries and group shows nationally and internationally, including the Fort Wayne Museum of Art, the National Arts Club and the Royal Hibernian Academy in Dublin. 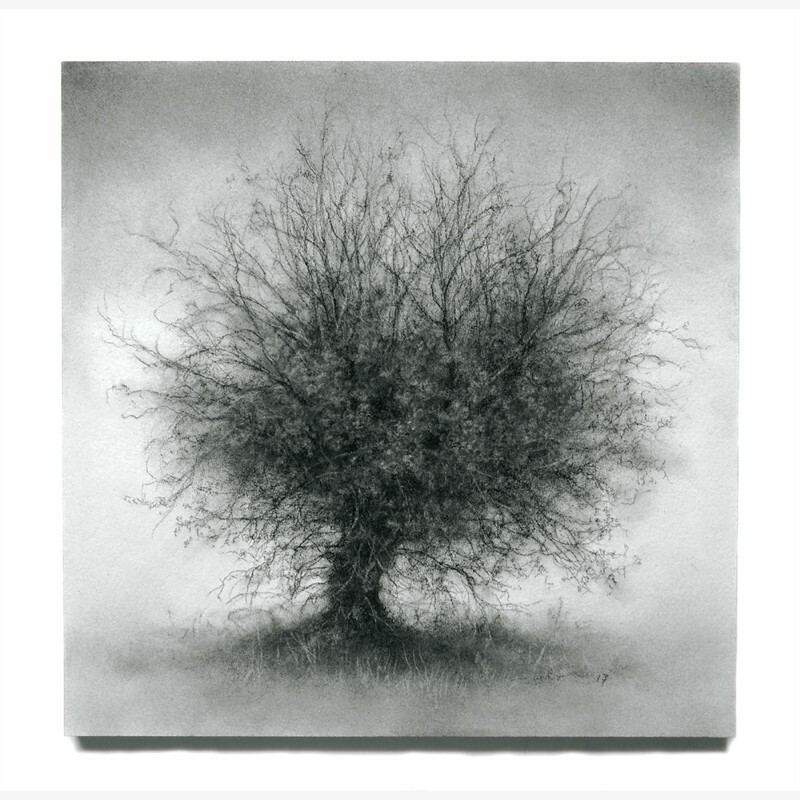 She is the recipient of many awards, including an Award of Distinction at the 5th Annual Drawing Discourse, an international exhibition of contemporary drawing held at the University of North Carolina, Asheville.